In 1972 Allis-Chalmers introduced the 600 series, which actually helped define the now-booming niche of "subcompact utility tractors" or SCUTs. 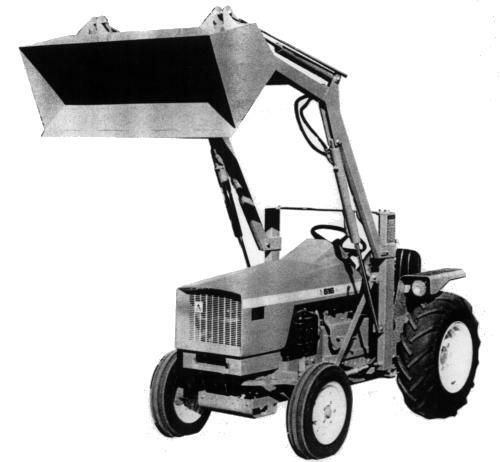 Larger than a typical garden tractor, styled like an Allis-Chalmers One-Ninety farm tractor, yet still not a stripped down agricultural or industrial tractor, the 600 series was a huge success. With a 2000 RPM rear PTO and a category-0 3-point hitch, it is a versatile workhorse that can handle the same type and size attachments as much-larger tractors. Allis-Chalmers later introduced the 608/610/611 series of small-frame lawn tractors, adding "confusion" to the series number, since they have nothing in common with the larger models. This "confusion" continued when the 620 later became the 720. 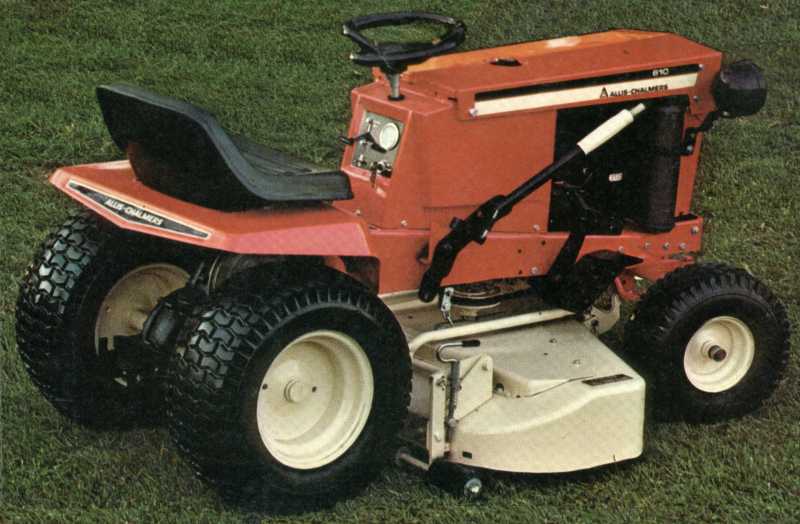 The difference is apparent from this picture of a 610 lawn tractor from a 1974 brochure.